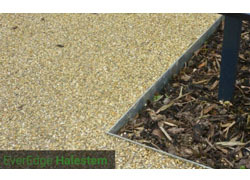 EverEdge have been manufacturing steel garden edging products for over 20 years. The company was formed by Richard Hall in the mid 1990's in Staffordshire to solve a very particular problem. For many years he had noticed the time, effort and money people spent on trying to maintain neat and tidy edges on lawns and flowerbeds. He knew that for certainly 150 years, stately homes had used thick, large strips of iron for this job, laying them along the edges of paths. His connection to the steel industry allowed him to explore the use of more cost effective thinner steels. Steel is an incredibly durable material which means that a gauge as thin as 1.6mm could be used. 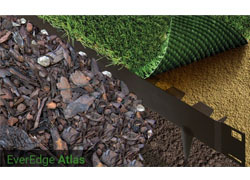 The edging, therefore, can be made flexible to allow virtually any shape to be easily formed. The company has grown from these roots in North Staffordshire, where it is still based, and now supplies edging all over the world. EverEdge is still privately owned and run by the Hall family. 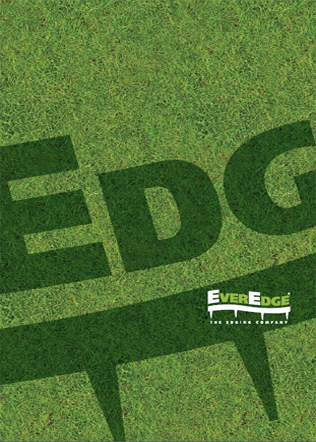 EverEdge products are made to the highest standards in Britain using, where possible, British materials. EverEdge has developed a number of products to compliment the edging range first launched in 1995 and today offers edging for private and public spaces, a range of custom made steel planters and a modular raised bed kit. In the last two years, EverEdge has developed a team of people dedicated to bespoke projects and can design and fabricate any number of edging or container projects for the UK or overseas.